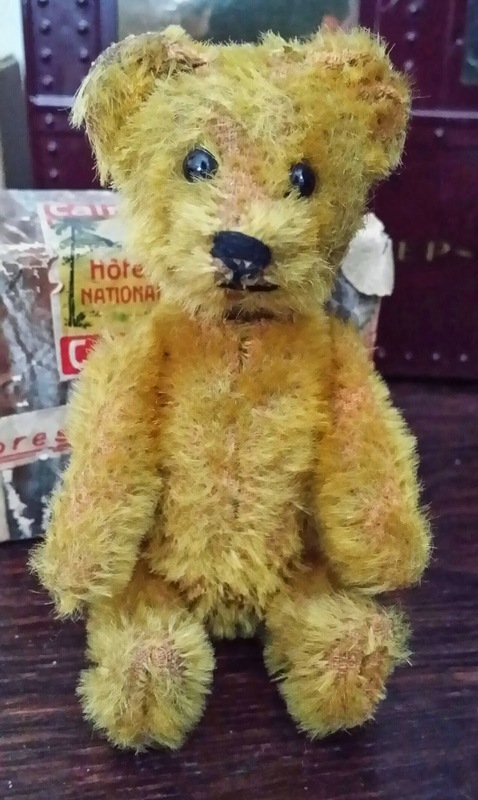 Another of Schuco's novelty bears from the 1920s, the Perfume Bottle Bear is a bear with a secret. 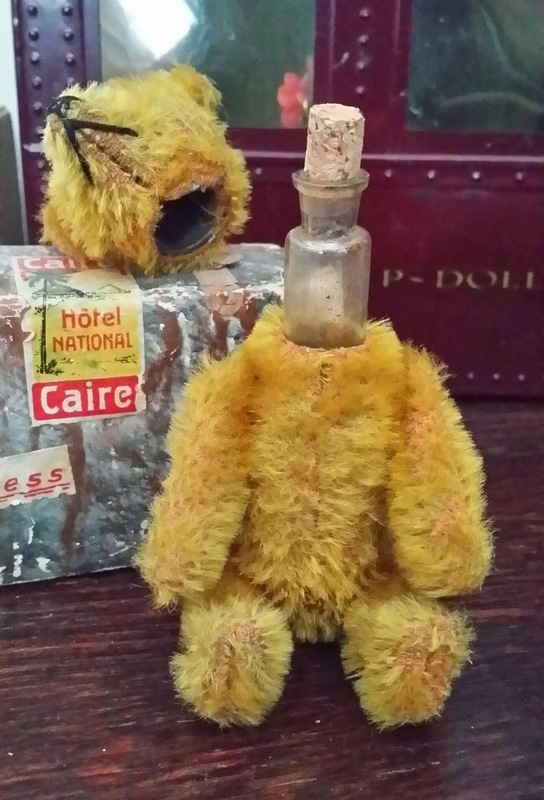 When the head of the 5 inch ted is removed, a little glass flask is revealed, perfect for an evening's supply of perfume. 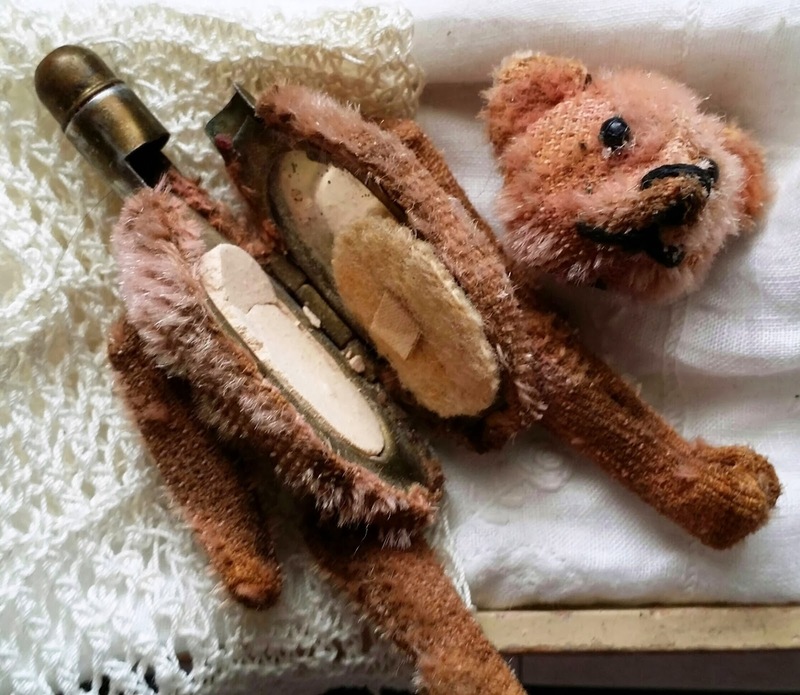 Schuco also made a slightly larger bear (and a monkey) with a flask inside, intended for liquor. 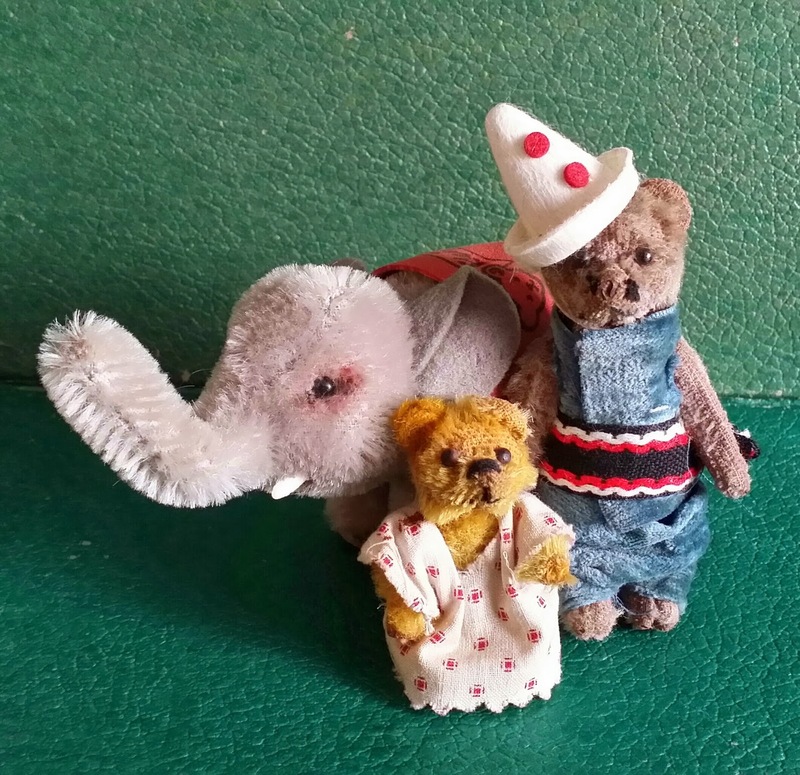 Just a quick pic of some colorful characters today: two 1920s Schuco miniature teddy bears along with a 1950s Steiff elephant. 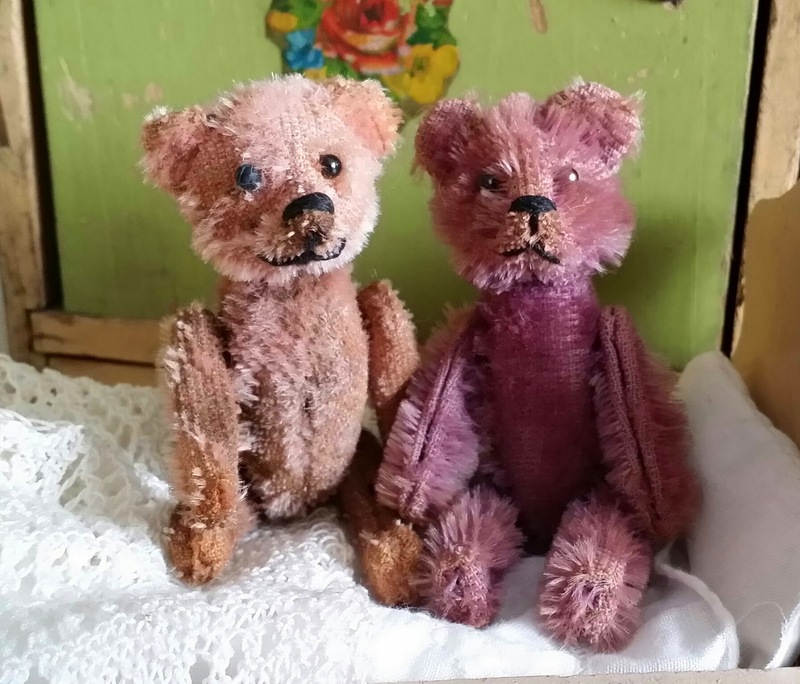 The bears are a wee 2.5 and 3.5 inches tall, and were dressed long ago by a creative owner. 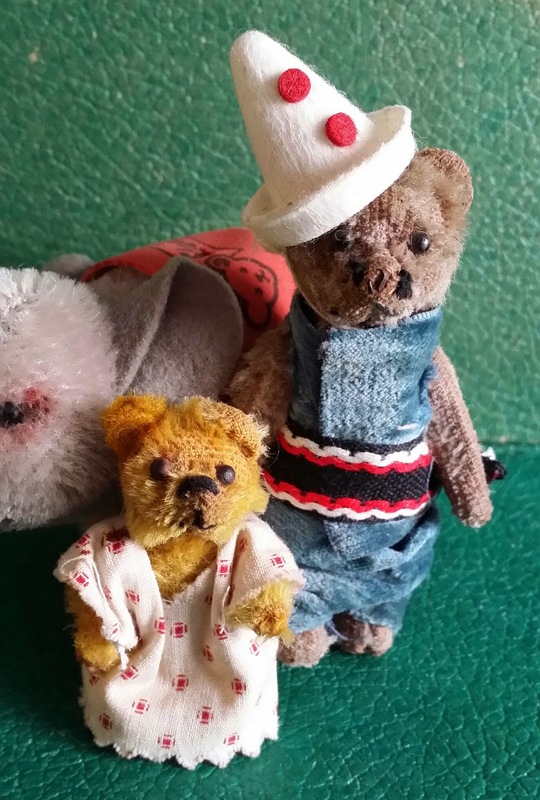 The clown hat came from the Steiff museum shop in Germany, and successfully hides a missing ear. 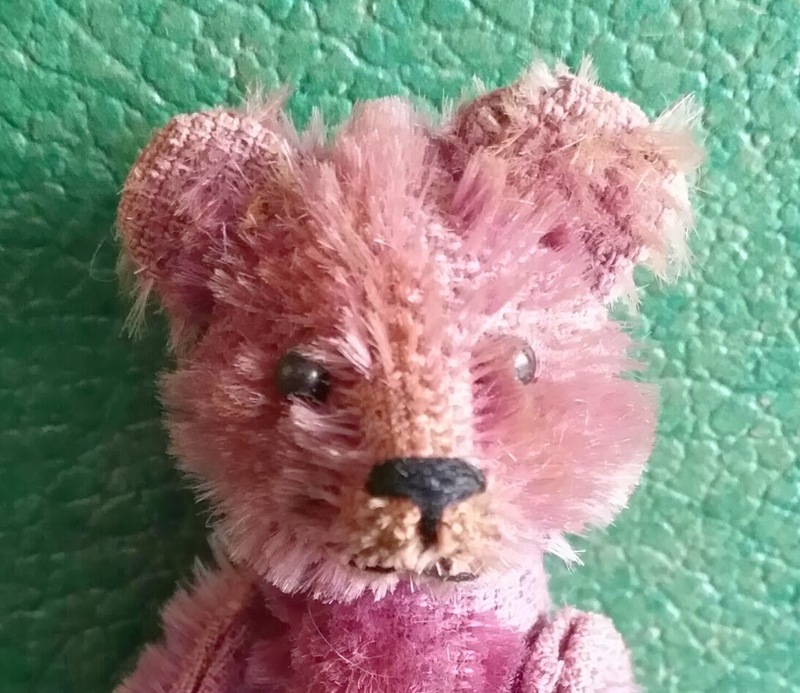 Schuco of Germany made tiny teddy bears in all sorts of creative forms throughout the 1920s and 30s. Some were novelty items, housing perfume flasks or compacts inside, while others were dyed in bright colors, all to appeal to the flappers of the period and small enough to carry in their beaded handbags. 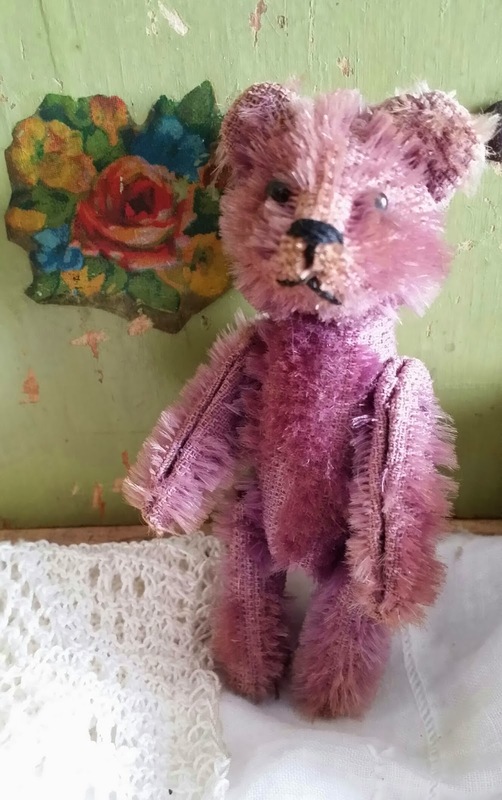 More of these clever little Schuco bears coming soon.